This is the ultimate T-shirt set for any fan of The Force Awakens! 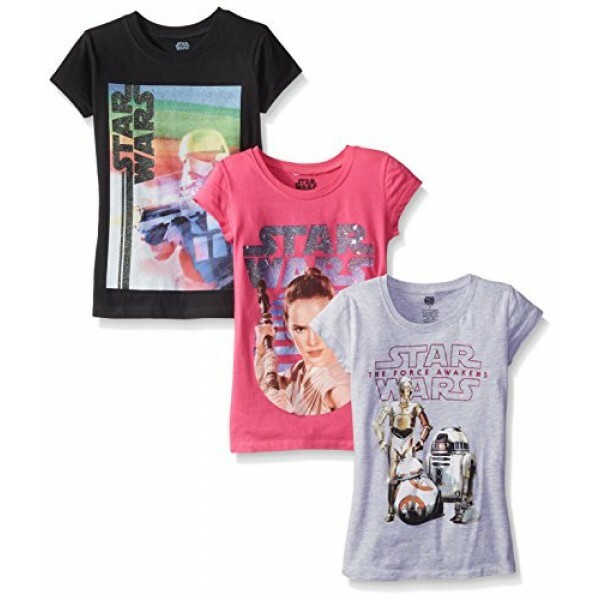 Three super soft 100% cotton t-shirts featuring characters from Star Wars: The Force Awakens -- including one featuring the film's heroic lead character, Rey -- come in this pack. The shirts are available in kids' sizes 4 to 6X and youth sizes 8 to 16. 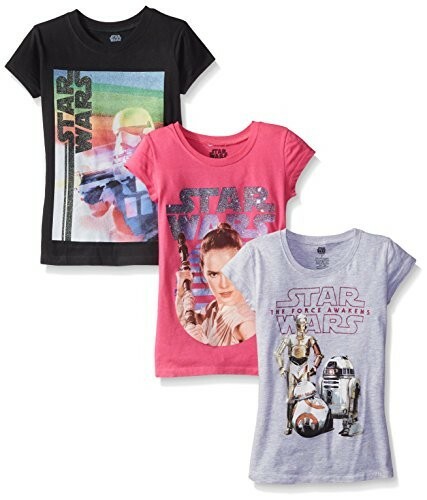 For more t-shirts and other products featuring Rey, visit our Rey Character Collection.